There is something about Christmas break and the start of a New Year that makes me want to snuggle up and dive into a good book. Apparently I’m not alone, because this week alone I’ve had four different friends ask for book suggestions, and I’ve seen several others on social media fishing for what might be good to read. If you know me, you know that I love to read, and I love to hear from friends about the books capturing their hearts. So, here are 12 books that I enjoyed in 2014 with a quick comment about each! Dear Mr. Knightley by Katherine Reay - I actually finished this last night, and although I saw the end coming, I still enjoyed this easy read. This will especially be enjoyed by my fellow Austen aficionados - lots of quotes to original Jane Austen novels. The Invention of Wings by Sue Monk Kidd - I saw April Roark & Jennifer Watson (two friends with good taste in books make this recommendation to someone else on social media and so I quickly purchased it for myself). This story inspired me, made me cry, and made me want to be more brave. What Alice Forgot by Liane Moriarty - I've read a couple of other Liane Moriarty books but this is my favorite so far. Alice is in her 30's when she bumps her head and loses her memory...and it makes her see her busy, chaotic life in a new light. Great read for a busy momma. The Rosie Project by Graeme Simsion - So, I actually got this book simply because it was free or $1.99 on Kindle and it had some great reviews. And as I began the book I thought it was strange - wasn't sure why I was reading it...and yet I couldn't put it down. By the end, I was a huge fan and I felt like I had learned so much about autism (the main character is autistic). The Nesting Place by Myquillyn Smith - As some of you know, we bought a new house this year and embarked on a bit of remodeling (fun and overwhelming)! I love the Nester's blog (the author of this book) and with my house adventure, I decided that I should learn all I could from her. I expected decorating tips, but this book had warmth and wisdom, and it focused on the heart of the home which is what the Lord knew I needed! Her book put me at ease to make this home "ours" and to be as quirky as I want in my decorating style (I love to be quirky in decor)...in fact, I just put together this little portion of my bathroom after finishing her book. I think she would be proud! The Glass Castle by Jeannette Walls - I'm late to the party on this book. My friend Wendy told me to read this at least 5 years ago and I've heard it mentioned by numerous friends over the years, so I decided to pick it up before our family vacation and I. WAS. RIVETED. I still cannot fully wrap my mind around the life of Walls - it is both beautiful and hear-breaking. I started looking at everyone I encountered differently wondering what their life was really like. 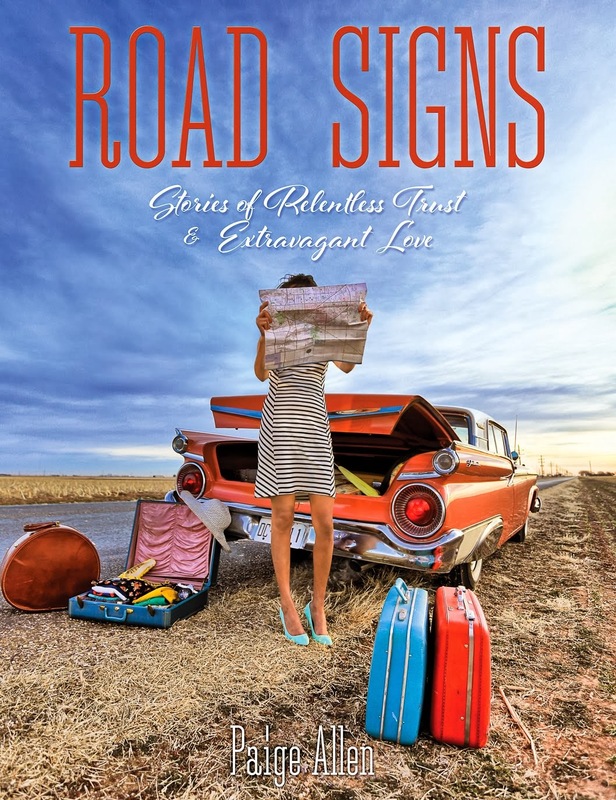 Anything by Jennie Allen - Sometimes God brings you a book at an intersection in your life that you desperately need, and this was the case for this book. Allen talks about praying a simple prayer, "God I'll do anything" and it messed with me in the best way. Notes from a Blue Bike by Tsh Oxenreider - Tsh intrigues me. I read her blog and I love her spirit of adventure yet ability to still be disciplined and focused. She, her husband, and 3 children are actually traveling the world for an entire year right now believing that her kids will get more education actually seeing the Great Wall rather than just reading about it. But this book's message is basically that there is not necessarily a perfect road map to parent or live...but that you do need to find God's rhythm for your family. It's okay to be different - to do what you love and raise your children with wonder. Anything else that I should add to the stack? What did you enjoy reading in 2014?